Up here in the Great White North, where Biff Bam Pop! makes its home, we’re celebrating Canada Day, the birth of our nation. On that note, I thought it would be more than appropriate that I list 5 quintessentially Canadian albums. Missing from the list will be icons like Joni Mitchell, The Band, Neil Young, and Leonard Cohen because, personally speaking, I don’t think any of them have albums that really gave you the feeling of Canada. That’s not to say that they haven’t created great songs with a Canadian vibe, but in this particular case I’m talking albums. For those of you that haven’t heard of the artists or albums on my list, believe me when I say they’re all worth tracking down. The Rheostatics were one of Canada’s great unsung bands. While they never experienced mass success, those of us that know of them heartily agree that they were one of the greatest groups this country has ever produced. With three main songwriters, the band could do everything from pop songs to prog rock, and everything in between. What makes The Rheostatics legendary is both their abilities and their embrace of all things Canadiana, from hockey players to provinces. 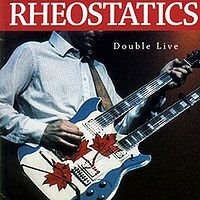 1997’s Double Live captures the band on the road, and a variety of gigs, from small clubs to arenas (where they were the opening act for The Tragically Hip, another core Canadian band). It feels exactly what a Canadian road trip is like. I first saw Junkhouse open for Bob Dylan at Hamilton Place in 1992. The band were playing a hometown gig, not long after signing their record deal with Sony. Their debut album, Strays, would be released a year later and would get a ton of radio and video support. The band’s main songwriter and frontman, Tom Wilson, wrote of his hometown and the people around him with a keen eye. 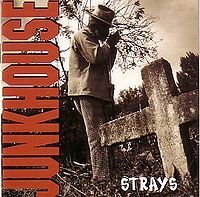 Steeltown, as Hamilton is known to Canadians, has never been more alive than in the hands of Junkhouse, who would put out two more albums before calling it quits by the end of the decade. The Tragically Hip are the biggest band in Canada (don’t even mention Nickelback, please), but if you aren’t living North of the U.S. border you probably haven’t heard of them. Perhaps it’s the band’s embrace of all things Canadian (like The Rheostatics, The Hip also sing about hockey players, whales, and Canadian landmarks – they’ve just always done it more accessibly); maybe it’s frontman Gord Downie’s onstage quirks. 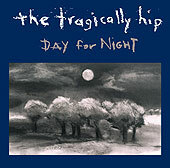 1994’s Day For Night, the band’s fourth album and arguably its darkest ever, was supposed to be the album that broke them outside of their home country, and while The Hip did score opening slots on tours with The Rolling Stones and Page and Plant, and even an appearance on Saturday Night Live, The Tragically Hip have essentially remained a Canadian treasure. Back in the late 60’s and early 70’s, The Guess Who were the biggest Canadian band around, and were consistently on the charts in the United States. Following their break-up, bass player Jim Kale wound up holding the rights to the name and toured with original drummer Gary Peterson and a bunch of ringers. 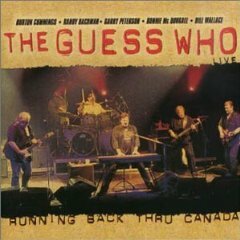 Come the 21st Century, and The Guess Who managed to come back together with its core line-up (Burton Cummings, Randy Bachman, Kale, and Peterson). On the eve of their reunion tour, citing health reasons, Kale stepped out, bassist Bill Wallace stepped in, and along with second guitarist Donnie McDougall the band went on one of the most profitable Canadian tours ever. The Guess Who’s 2000 live album captures them on fire, showcasing a catalogue of songs that any band, Canadian or otherwise, would be lucky to call their own. One of the best Canadian bands to come out of the 90’s has to their credit one of the greatest “best of” collections you could ask for. When Sloan first hit the music scene, they were labelled as Canada’s entry into the grunge/alternative movement. What nobody knew was that Sloan was more about power pop than mope rock. Over the course of their career Sloan have crafted solid albums, but for pure consistency there’s none better in their catalogue than A Sides Win – every song is a winner, and you still get the feeling of pure Canadian pop throughout it. I would have to add Blue Rodeo's Five Days In July as a quintessential Canadian listen…I may just go throw that one on right now.